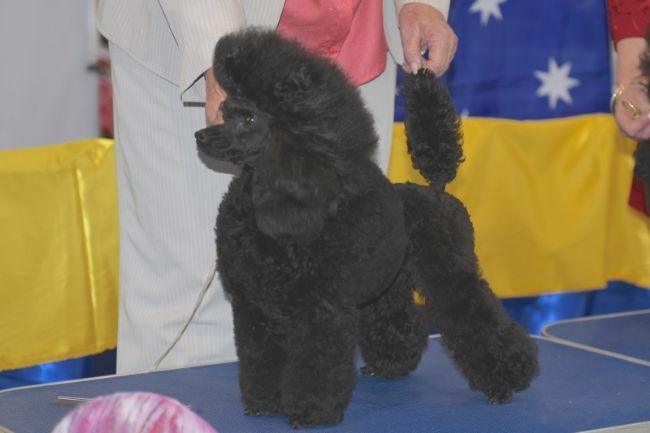 Scarlett has a wonderful poodle temprement. 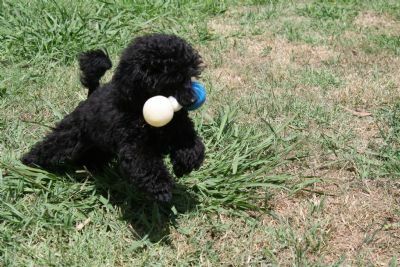 Stylish and happy but naughty all that is wanted in a poodle Despite her naughty ways gained her title at 8 months. Has many In SHow awards to her credit including Specialty shows.